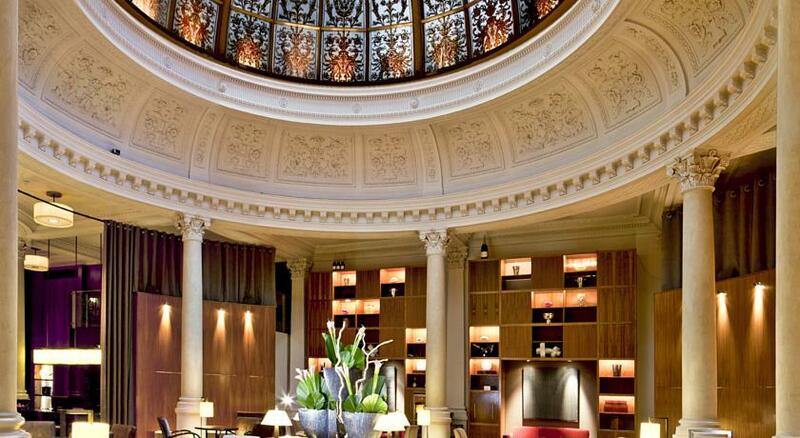 Threadneedles (*****) has the honour of being the first luxury hotel in the Square Mile. This former Victorian bank in Theadneedle Street is a very impressive building, a highlight being the stunning stained glass dome of the lounge that dates back to 1865. 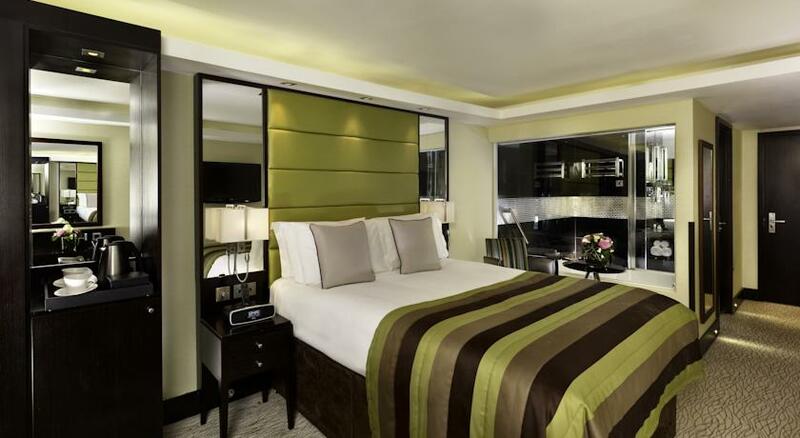 Rooms range from a luxury double up to a penthouse suite that comes complete with amazing views across the city. The excellent service lives up to its smart City of London location and thoughtful extras include a free shoeshine service and a daily newspaper. Although substantially bigger than what we sometimes think of as a boutique hotel, The Montcalm at the Brewery (*****) has applied a luxurious and elegant aesthetic across the its over-200 guest rooms and suites. Contemporary comfort and quality pervades the rooms at this property in Chiswell Street where luxurious extras include a bespoke pillow menu and customised in-room aromas. Rooms also come with a smart phone service with unlimited local and international calls (to selected countries). The fascinating mid 18th century property which right on the edge of the City of London was originally the Whitbread & Co brewery – the first purpose-built mass production brewery in the country. It speaks for the charms of the area that Malmaison (****) chose Clerkenwell as the location for their London hotel. Based in an old nurses hospital, this hotel’s 97 rooms succeed in marrying the historic charm of the building with the very best of modern comforts, including extra comfortable beds, power showers and flat screen digital TVs. To further entice you to stay, there’s a tasty brasserie and the MALBAR offering decadent and delicious cocktails. The Zetter (****) is split into two different buildings each with their own unique style, the Hotel and Townhouse. They can be found just across a cobbled courtyard from each other. The Zetter Hotel is the cool and contemporary older sibling, based in a warehouse conversion and decorated with interesting pieces by renowned British designers such as Timorous Beasties and Eley Kishimoto, alongside classic retro pieces. You can gaze out across the rooftops of this fascinating locale from the comfort of a sun lounger or a deck chair in one of the rooftop studio rooms. There is a very different feel to The Zetter Townhouse, a Georgian townhouse converted into a gorgeous 13 bedroom boutique hotel. Antique and reclaimed furniture mix with quirky pieces of taxidermy to create an offbeat and charming feel. Special touches in each bedroom include hot water bottles with hand-knitted covers and a selection of Penguin paperbacks as standard. The Rookery (****) is perfect for those seeking some traditionally British style. 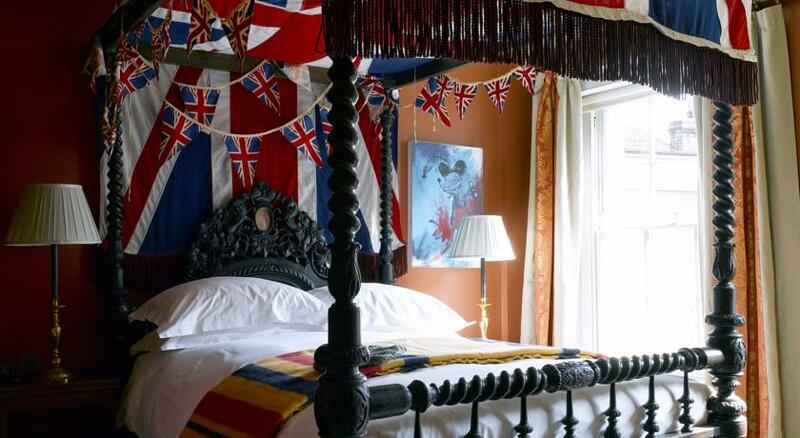 Historic details such as panelled walls and traditional furniture, including mahogany desks and four-poster beds, or even a Victorian bathing machine, have been incorporated into each room. The jewel in the crown is the Rook’s Nest, a two-storey suite, completed by a 40-foot spire. There is a sitting room based under the spire so you can nestle in and enjoy the enviable view over St Paul’s and the Old Bailey.